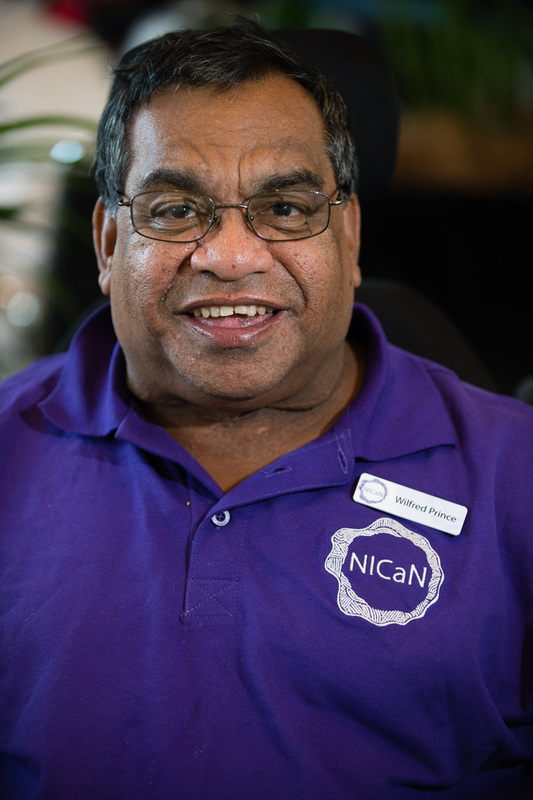 NICaN Ambassadors work voluntarily to raise awareness of cancer among Aboriginal and Torres Strait Islander communities. Having had a personal experience with cancer, NICaN Ambassadors are able to share their stories, help others understand cancer and the importance of cancer screening, and provide hope and encouragement. NICaN Ambassadors represent NICaN at community events and work with their local health services and clinics. Uncle Bill is a Gwamu man from the banks of the Culgoa river in South West Queensland. From his father's experience with cancer, Uncle Bill learnt the importance of taking control of cancer when he had to face it himself. He shares his story in an effort to raise cancer awareness and encourage Aboriginal and Torres Strait Islander people to "take control and have an active role in your own cancer treatment". Uncle Bill was involved in the Stories of Survival project, read his story. Uncle David is a Kaurna and Peramangk man and southern Elder, from the Adelaide Plains, South Australia. he was diagnosed with colo-rectal cancer in 2009 and told he had 18 months to live. Uncle David said when he was told he had cancer "my Aboriginal brain, my traditional brain kicked in which said if you get cancer the you must have done something really bad". He speaks at local, regional and national workshops and conferences about his cancer journey, to encourage Aboriginal and Torres Strait Islander men to have "regular bowel screening and regular health checks because they will pick other stuff that can be treated too". Uncle David was involved in the Stories of Survival project, read his story. Simon Copley is a Kaurna man from the Adelaide Plains, South Australia. He was diagnosed with leukaemia in 2012 just three years after his older brother, David, was diagnosed with colon-rectal cancer in 2010. I say to our people "no matter how busy you are, wether at work or whatever you are doing, go out, go see a doctor today to have that check-up. No matter how you are feeling, don't put it off". Simon was involved in the Stories of Survival project, read his story. Aunty Marg Lawton was diagnosed with breast cancer in 2008 and again in 2012. 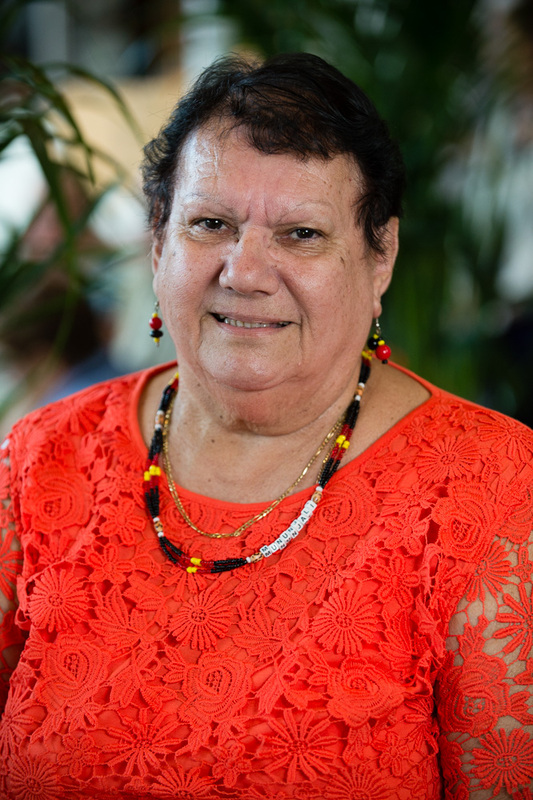 She speaks at community meetings, local, national and international conferences, program launches, cancer walks and key events about her breast cancer experience to encourage Aboriginal and Torres Strait Islander women to have regular mammograms. She was awarded a Griffith Australia Day Award for her work with Carina Youth Agency in 2012 and as a Breast Cancer Network Australia Community Liaison in 2016. Aunty Marg talks about cancer in newspapers, radio and television and she has made a breast screening ad and worked with Qld Health to produce a breast screening promotional brochure in her own dialect, that used Yummuns for breasts. "I say to our Aboriginal and Torres Strait Islander women that if you feel that something doesn't look or feel right, get it checked immediately and keep your mammograms up every two years. If there's something there it will eventually show up". 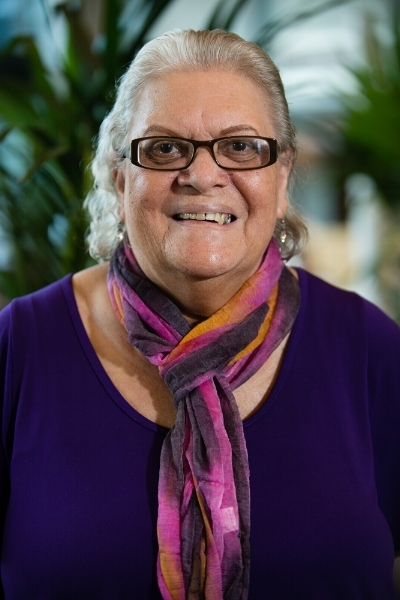 Aunty Faye Gundy is an Aboriginal woman from Western Queensland and lives in Brisbane. Aunty Faye was diagnosed with breast cancer in 2014. She first shared her cancer journey in 2015 at the third Brisbane Indigenous Cancer Walk. 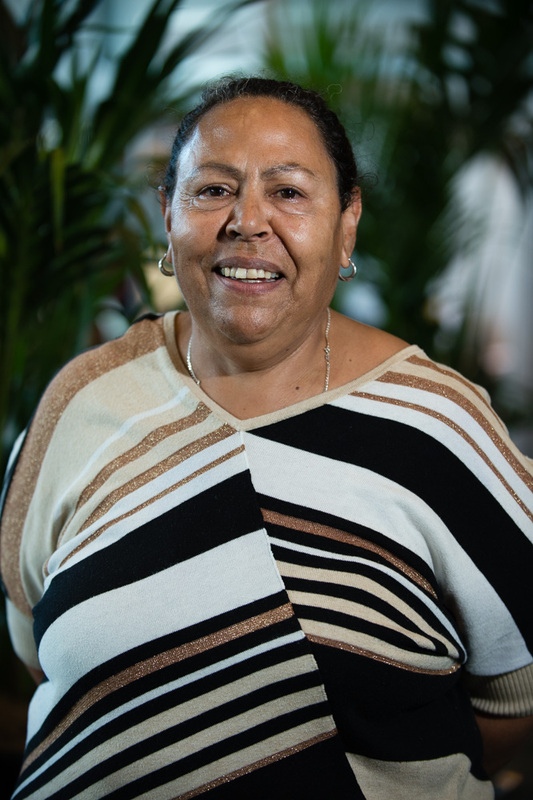 Aunty Faye speaks at community events, local, national and international conferences about breast cancer and the need for Aboriginal and Torres Strait Islander women to have regular breast screening. Adelaide Saylor is a Torres Strait Islander woman from Babinda, Far North Queensland, who grew up in Brisbane. Adelaide who was diagnosed with breast cancer in 2013 after her husband talked to her into having a mammogram. "I didn't know much about cancer even though four of my aunts had been diagnosed with cancer; two with bowel cancer; one with cervical cancer. Two of my aunties later died and that forced my other aunties to act, now they're living healthy normal lives," Adelaide said. She often speaks at Aboriginal and Torres Strait Islander events or gatherings to promote cancer screening and awareness and cancer treatment and survival. Colleen Lavelle is a Wakka Wakka woman from Hervey Bay, Queensland. In 2012 she was diagnosed with terminal brain cancer and told that "she could go in a second or in 20 years". Colleen decided to write a blog called Proud Black Sista to talk about cancer and her physical and financial struggles and it's impact on her family of three. Colleen now has a Facebook page to 'reach out to others' and let them know 'they're not alone' in their fight against cancer. Colleen is also a journalist/broadcaster and occasionally writes stories about cancer for national and TV. Uncle Willie is a Kalkadoon and Wakka Wakka man; he was born in Cherbourg and grew up in Brisbane. His journey through throat cancer inspires all to get regular check-ups, and keep an eye on any changes, and get help sooner rather than later. Uncle Willie was involved in the Stories of Survival project, read his story. Sandy Miller is a Wirangu woman from the Ceduna area, South Australia. Sandy faced breast cancer, but with early detection and treatment she is in remission. She is keen to promote cancer awareness and preventative behaviours and the need for increased cancer screening, cancer treatment and survivorship. Trevor is an Aboriginal man from the Wangaratta-Yarrawonga area. His mother was a Yorta Yorta woman and his father was a Pangerang man. He spent most of his life in Victoria and moved to Uralla, NSW over 20 years ago with his family. Trevor was diagnosed with Prostate cancer 16 years and also lost his wife to cancer and his father and an aunt to lung cancer. Despite suffering a stroke a few years ago and recently a twisted bowel, Trevor helped to establish a cancer support group for Aboriginal and Torres Strait Islander people diagnosed with cancer in his area. Trevor continues to support Aboriginal and Torres Strait Islander people diagnosed with cancer, and those supporting people diagnosed with cancer, because "I'm a survivor and I'm still going".